Andrea works on issues related to Colombia, Cuba, and Central America, and also serves as our financial associate. Born and raised in Puerto Rico, she has always felt a strong, albeit complex, connection to the Latin American community. 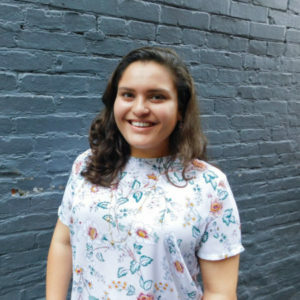 After a short but eye-opening trip to rural Guatemala at the end of her high school career, she became passionate about improving human and economic conditions in the region. She went on to obtain a BA in Political Economy from Georgetown University, focusing her studies on Latin America and its countries’ economic and political history, democratic institutions, and welfare states. In the past, Andrea has worked for the State Department and the women-led grassroots peace group, CODEPINK. She’s particularly interested in gender issues, peacebuilding and diplomatic processes, and the empowerment of marginalized communities.